Odyssey from London City to New York non-stop? APG has signed four new airlines to its Interline E-Ticketing platform (APG IET) allowing IATA travel agents to e-ticket the airlines on APG IET e-documents. With TAAG Angola Airlines, Air Caraibes, TRIP Linhas Aereas and ASKY all joining APG IET this month, the total number of airlines e-ticketable on APG IET is fast approaching 100. 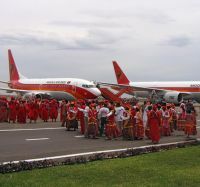 TAAG Angola Airlines (DT), based in Luanda, operates a fleet of 13 aircraft to 24 destinations across Africa and also to Portugal, Cuba and Brazil. TRIP Linhas Aereas (T4) is a regional airline in Brazil, already serving 88 destinations with a fast-growing fleet of 54 aircraft. Air Caraibes (TX) is the airline of the French Caribbean, serving 13 islands in the West Indies as well as Paris with a fleet of eight aircraft including five Airbus A330s. ASKY (KP) is a regional African airline, based in Togo, serving 18 destinations with a modern fleet of three B737-700s and a Bombardier Dash 8 Q400. ExecuJet, majority owned by Dermot Desmond, formerly of London City Airport, is now fully operational at Cambridge Airport, which has become the Zurich-based organisation’s UK home. The impressive Cambridge facility includes integrated hangars and extensive management facilities. ExecuJet will continue to function at London City, the move acknowledging the apron space limitations at the dockland airport. It now manages 10 aircraft based in Britain and 50 in mainland Europe. “We see this step as an integral part of expanding our UK presence,” said Cedric Migeon, Managing Director, Execujet Europe. “It is an excellent alternative destination for London-based traffic and especially for travellers to and from the US, as the location lies directly on the flight path that avoids London’s busy airspace.” He pointed out that the Cambridge facility has generous hangar space and provides 24/7 capability ‘on demand’. During the London Olympics it is only one of just five regional airports with a 24-hour slot allocation. Lagos (Nigeria) is to be Etihad’s first destination in West Africa from 1 July, subject to regulatory approval. The direct flights will link Abu Dhabi and Lagos six times a week and will be operated by a two-class A330-200 aircraft with 22 Pearl Business Class and 240 Coral Economy seats. Lagos becomes the 83rd destination in Etihad’s global network, the seven-hour-plus flights competing with an established Arik Air operation. Following the launch of services to the Seychelles in November 2011, Tripoli last month and Nairobi in April, the addition of Nigeria is another milestone in Etihad’s African expansion plans. James Hogan, Etihad Airways President and Chief Executive Officer, said: “The launch of services to Lagos is consistent with our strategy of targeting areas of strong growth in emerging markets. “The United Arab Emirates is a major trade partner of Nigeria, which has a population of more than 150 million people, the largest in Africa and the seventh biggest in the world. 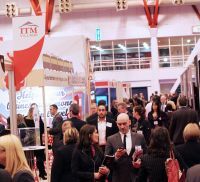 Established in Germany in 1972 and now employing 600 worldwide, HRS (Hotel Reservation Systems) was once again at the Business Travel Show. Following last week’s ruling by the ASA that TripAdvisor’s claims for its website is misleading, Managing Director UK, Jon West, points out that only guests who have made their booking through the HRS system and stayed at the hotel can make an evaluation. He believes that the system is not only honest but infallible. “Guests mark hotels in 14 criteria on a scale of 1 (poor) to 10 (very good), allowing the average values for the hotel to be calculated. To ensure evaluations are up-to-date, scores awarded more than two years previously are not included in the published average for the hotel”. "When at least five customer reviews have been received, HRS calculates an overall score for the hotel, which is displayed in the hit list and gives the user a clear overview at a glance. So that the customers can find customer evaluations that reflect them and their interests among the three million on the system, the reviews clearly show whether they have been submitted by private or business travellers, single people or couples”. 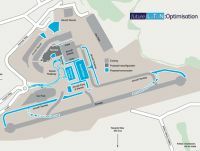 Luton Airport has today (13 February) unveiled plans to increase capacity to 18m annual passengers, double the current throughput. The scheme will now go out to consultation until 26 March, an exhibition locally going on tour. April is targeted for a planning application. Perhaps most important to the travelling public are plans to reconfigure road access to the central terminal area and car parks. The proposals include a new apron encompassing much of the current short term parking area, replaced with a multi-storey car park. This will include a drop off point. Extra piers will be added. From an operational point of view new taxiways at both ends of the single runway, together with high-speed turn offs in each direction, will increase aircraft movements substantially, and reduce the time that planes have to hold before actually getting airborne. Hold-ups whilst in the air for inbound flights will also be reduced. There will be substantial environmental and fuel saving gains. Bombardier’s all new C series narrow-bodied regional jet has been reported previously by AERBT to have a London City to New York non-stop capability, with just 40 Business Class passengers. Now a British venture, provisionally called Odyssey Airlines, has taken the idea at face value and ordered the aircraft. Odyssey is thought to be the mystery European customer for 10 of the Canadian-built jet. 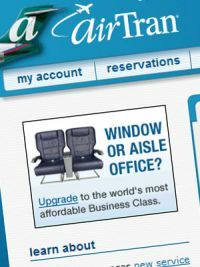 The start-up directly targets British Airways twice daily “Club World” flights via Shannon operating 32-seat Airbus A318 aircraft, thought to be a marginal service financially, but viewed as a well worthwhile prestige operation. 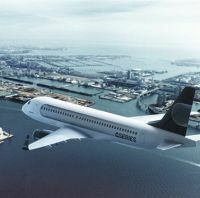 Doha, Moscow and Tel Aviv are also within the C series aircraft’s capability, but not with the much heavier Airbus jet. With the first flight due later this year the C series is seen as a competitor to both the Airbus A320neo, and Boeing 737max, but at the lower end of the market with a maximum 150-passenger capability. Deliveries are due to start in 2013 with Lufthansa and Korean Air as lead customers. 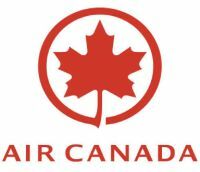 Air Canada has announced that it plans to increase the number of daily services from Heathrow to its Toronto hub from four to five non-stop flights each day, commencing 2 June. In addition to five flights per day from Heathrow to Toronto Pearson International Airport, Air Canada will offer daily non-stop services from the UK to seven other major Canadian cities including Montreal, Calgary, Vancouver, Ottawa, Edmonton, Halifax and St John’s. It looks like, as we go to press, that the UK has survived another weekend under a snowy blanket without any serious air transport disruptions. Just a week back your Editor was asked by one of TV’s most important business programmes to comment on BAA’s snow performance. Sadly the piece was pulled (TV, rather like airports, has slots, and they are precious) but the research had been done. Very apparent, once again, was the British media jumping on the airport operator, and not apportioning blame. Just a week earlier Amsterdam, by all accounts, had performed worse. Regular travellers to North America will tell you that this time of the year flying is always a bit of a lottery. Two years ago your Editor was on the first and last flight out of Chicago for the day! As the world’s busiest long haul airport Heathrow’s problems are compounded (and exaggerated). The weather can change during a 12-hour flight. That does not help passengers stranded in Barcelona and Prestwick. Bearing in mind the trouble occurred on the first Sunday of February, a notoriously quiet period, some airlines with heavy frequencies to distant destinations were more than happy to have an excuse to cancel flights. The general opinion now is that BAA performed far better than 12 months ago, does need some improvement, and BA, media-wise, got off lightly in terms of its performance! Airport and airline apron handling seems to have been out of sequence. BAA appears to have been too pessimistic in its planning and not flexible in the arrangements as the day progressed. The argument goes that the cut-back should have been gradually reduced, BAA through its joint snow committee asking for up to one-third of flights to be cancelled. BA it seems added to what was required, hence the 40% generally quoted. Once flights are cancelled there is a knock-on effect with aircraft and crew out of position. Heathrow's basic constraint on handling full runway schedules is lack of acreage (JFK is twice the size, de Gaulle and Frankfurt around three times) and total stand numbers have always been a problem. This is compounded by works areas for the new T2. The real problem, as per the previous year, was making aircraft stands available. With taxiways being cleared and snow moving to dumping areas around the airfield it would not be safe or feasible to handle a full flight schedule. The 40% cutback was probably driven by an assessment of the reduction in flights that would be necessary to give teams unimpeded access to sufficient stands to clear all the aircraft parking areas that day. Did the liaison between BAA and BA work properly? Here there is a question mark. It would be extremely surprising if BAA's emergency plan went as anticipated. With all that new equipment and staff there would bound to be a learning process – it is impossible to simulate snow clearing other than by practicing formations and operating the controls! It is easy in retrospect to criticise but the message is “could do better”. As for the media it is a question of putting up the right spokesman able to get the message over and keeping the press informed. Off the record briefings can work very well. The public seems to be getting the message. Look on your airline website. Following the events of Friday 3 February, when the entire Malév fleet was grounded, Budapest Airport reports that its Crisis Control Centre successfully managed the immediate effects of the national airline’s collapse, ensuring that stranded passengers were attended to in the best possible way. About 40% of business and one-third movements were Malév. Airlines including British Airways, Air France, KLM, Germanwings and Brussels Airlines were quick off the mark by increasing frequency on their existing Budapest routes. At the same time not only did Lufthansa and Wizz Air add to capacity on some of their existing routes from Budapest, they also announced new destinations to help market recovery. 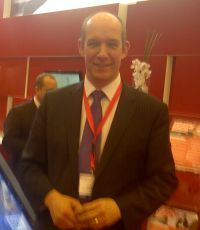 Air Berlin also responded quickly with the launch of a new service between Budapest and Berlin which is now under way. In March, five routes will be introduced by Ryanair, a previous resident at the airport. The Hotel Indigo Berlin Centre Hardenbergstrasse has opened. A boutique property, it is the first of the brand in Continental Europe. It has just 81 rooms. Another Indigo will shortly follow on Alexanderplatz. The new hotel is opposite the Charlottenburg campus of the Berlin University of Arts and takes the inspiration for its design from the burgeoning arts community in the city. 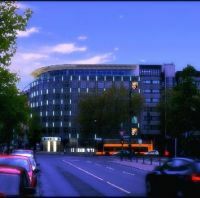 Its central location means it is just minutes from some of Berlin’s popular attractions including the city’s most famous shopping street, Kurfüerstendamm, Berlin Zoo and the Kaiser Wilhelm Memorial Church. The Hotel Indigo concept was launched in the United States in 2004, making it International Hotel Group’s (IHG) youngest brand. It combines the standards and service of a major hotel with the individual atmosphere of a boutique property. 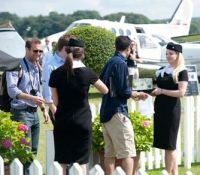 The third dedicated Goodwood Aviation Show will be held this summer as a fully-integrated part of the hugely popular Festival of Speed and Moving Motor Show (28 June-1 July). The aviation display is being relocated within the Festival of Speed’s main Goodwood Parkland site for the very first time, rather than being based at the Goodwood Aerodrome, as in the previous two years. This will make the show fully accessible to each of the 180,000+ visitors that are forecast to attend this summer’s event. Additional attractions planned for the first time this year include a dedicated military and civilian careers area. As previously the Goodwood Aviation Show will enable manufacturers and agents of fixed wing and rotary aircraft, as well as aviation service suppliers, to showcase their latest innovative aircraft designs and products to both a specialist aviation audience, and an inquisitive and enthusiastic public. 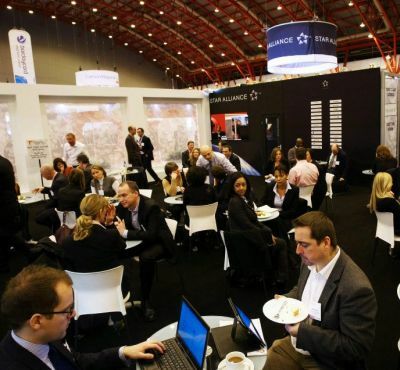 To date over 20 exhibitors have confirmed their participation, already exceeding the total number at the 2011 event, with more expected to follow. So far these include Pilatus, Honeywell, Nicholson McLaren and Transair. British Airways has a lodger. For the first time BA will have to share Heathrow’s Terminal 5 with sister company Iberia who are moving from Terminal 3 on Sunday 25 March. Whilst BA is keen to promote the better facilities in the three-year-old terminal, the main benefits for passengers are that Madrid flights (and for that matter Barcelona) will all operate from one building. With the code share system in place it was all too easy to go to the wrong part of Heathrow. The minimum connection time between Terminal 5 and Terminal 3, currently used by Iberia, is 90 minutes. After the move, it will drop to 60 minutes. Conrad Clifford, Group Chief Executive of Monarch, is stepping down. Chairman Iain Rawlinson described the sudden departure as amicable and will take on the role he has previously held for the time being until a successor is appointed. 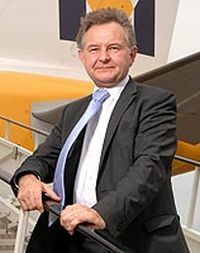 Clifford joined Monarch Group from Emirates in September 2010, having previously run Virgin Nigeria Airways and worked at Menzies Aviation Group and Cathay Pacific. 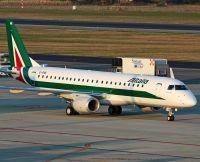 The airline has also announced its winter flying programme for 2012/2013; adding additional frequencies to existing routes as well as launching new winter services to Italy. Four-weekly services will operate from Birmingham to Milan, Venice and Rome. Gatwick has six-weekly flights to Milan as well as four weekly to Venice. Manchester includes five-weekly flights to Milan, four to Verona and three times Venice. New for Luton is a three times weekly service to Rome. The winter flying programme will also operate to existing destinations throughout Spain, Portugal, Cyprus, Croatia, Greece, Egypt, Turkey and Gibraltar. Not to be confused with a certain TV series justifiably termed ‘soap in the air’, the outrageous Miss Pam Ann is back in London for a limited season. Since her last visit to the London stage she has been around the world to box office sell outs, adding Istanbul, Warsaw and Tel Aviv to her long list of destinations. None of them were one night stands. Described as ‘An absolutely hysterical and hilarious show' – by no less than Alan Carr, Pam Ann (Aussie comedienne Caroline Reid) takes no prisoners and is “naughty, arrogant, bombastic, delicious” – AERBT’s words, having been through the experience. All Airbus A380 aircraft in service are being checked for minute cracks found during routine maintenance on a Qantas plane. The European Aviation Safety Agency (EASA) is believed to have ordered the inspection after the alarm was raised by Australian engineers discovering 36 2cm cracks inside the wings of one it its five aircraft in service during a regular maintenance inspection. The Australian flag carrier said in a statement: “This cracking is not related to the turbulence, or specific to Qantas, but is traced back to a manufacturing issue,” adding that Airbus had confirmed the cracks had no effect on flight safety. The cracks are similar to those manufacturing defects which were found on a Qantas plane damaged following an engine malfunction in 2010. They are however different to the 'type two' cracking on two A380s recently, which led to 20 of the planes being checked following orders from the EASA. Ex-UK travellers are now able to compare the extra fees charged by airlines thanks to a new tool from the UK Civil Aviation Authority (CAA). Last week, the organisation published a summary of the optional charges imposed by the top outbound airlines in an easy-to-use table document. It includes information about luggage, in-flight meal and reserved seating fees, as well as other optional charges that could apply to carriers’ flights. The new tool covers charges from a range of airlines, including Ryanair and easyJet, as well as foreign carriers like American Airlines and Air France. For example, it highlights the one 23kg bag allowed by Air Canada for a fare between Europe and Canada, compared to the two allowed by British Airways. Also highlighted is the £6 per flight, per passenger, handling fee from Aer Lingus for purchasing a ticket with a credit card, while Virgin Atlantic adds 1.5% to the headline fare. 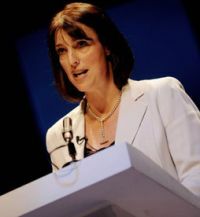 In response to a question from AERBT she said that the airline had no plans to operate into Heathrow. “It’s too expensive,” she said, and then asked if any slots were available. She announced that the Luton-based carrier would become the first airline to trial electric green taxiing system by Safran and Honeywell. 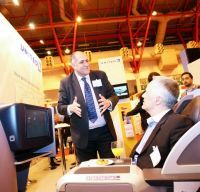 The system will compete with “WheelTug” being developed in conjunction with El Al. Due to the high frequency and short sector lengths of easyJet’s operations, around 4% of total fuel consumed annually is used when the airline’s aircraft are taxiing. easyJet’s aircraft average 20 minutes of taxi time per flight – the equivalent of 3.5 million miles a year. 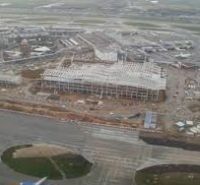 With its client airlines still to be defined, and bmi likely to be enrolled into BA shortly, BAA is pressing on quickly with its Heathrow Terminal 2 project. Construction is about one-third complete and the target introduction for winter season (end October) 2013 is but 20 months away. The building should be weather tight by the end of this month when a topping out is planned. Currently there are about 1,200 workers on site, this is set to increase over the coming months so that by mid-summer there will be a peak workforce of around 2,000 – this is typical as a project moves from a civil engineering scheme into the more complex fitting out phase involving mechanical and electrical engineering. The programme includes the development of a new multi-storey car park. British Airways continues to grow its network from London City Airport with the launch of three new, mainly holiday, routes this summer. From 25 May the airline will complete its Balearic Islands portfolio, launching flights to Mahon in Menorca. British Airways launched highly successful services to Majorca and Ibiza from the Docklands airport two years ago. There will also be two new French routes to Angers in the Loire Valley and Quimper in Brittany, starting in May. The addition of the new routes means a total of 21 destinations in the UK, Europe and the USA are now served by British Airways from London City Airport. British Airways offers all inclusive fares to all destinations, which include a generous free 23kg luggage allowance, free on-line check-in and seat selection 24 hours before departure and complimentary food and drink on board. DoubleTree by Hilton now has a fifth New York City area hotel. 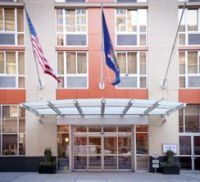 Situated on 36th Street between Eighth and Ninth Avenues, it is within easy reach of New York’s business and leisure destinations and walking distance to Broadway attractions, Times Square, Madison Square Garden, Penn Station, the Jacob Javits Convention Center and the Empire State Building. The 224-room DoubleTree By Hilton New York-Times Square South, was formerly a Wyndham Garden hotel. In-room amenities include complimentary wireless; 32-inch high-definition LCD TVs; MP3-compatible alarm clocks; plush bedding and combed cotton linens; Wolfgang Puck in-room gourmet coffee and tea service; and Crabtree & Evelyn Citron bath and body products. Room service also is available during peak dining hours. Now firmly established as the world’s number two aircraft engine manufacturer (GE is number one, with Pratt & Whitney back in third place) Rolls-Royce Plc made record profits last year in spite of setbacks with the Airbus A380 and Boeing 787 projects. A near disastrous engine blowout on a Qantas A380 cost the company £56m and the introduction of the 787 was fraught with delays. Overall profits rose 21% to £1.16bn, while orders reached £62bn after rising 5%. Other than the name and heritage, the Derby-based company has no connection with the BMW-owned car manufacturer. 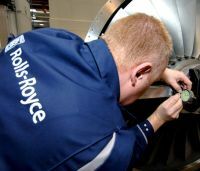 Rolls-Royce completed one of the biggest deals in its history last year when it joined up with Mercedes-Benz's owner Daimler to buy the German engine maker Tognum for about £3bn. Currently it has an outstanding order book for more than 5,000 engines. Sports Utility Vehicles (SUV) first became apparent to me with the launch of the original Toyota RAV 4 about a decade ago. It was a compact 4x4 (with a cheaper two-wheel drive sibling) that cleverly combined robust road performance with an ability to shuffle off into the undergrowth with impunity. That original model and subsequent developments have proved a rip-roaring success, the message clearly getting through that there was hot hatch back performance to be had with this versatile vehicle to the degree that I suspect a strong customer following developed. I have come across a number of enthusiastic owners now on at least their third RAV4. Fast forward to the present and I found myself enjoying the comfort and refinement provided by the back seat of my friend’s new generation RAV4. Suffice to say, he has always sworn by prestige brand German saloon and estate cars. Not only was he applauding the lifestyle of his latest acquisition, he was also constantly telling me of the fuel savings he was enjoying, especially on his long cross-Europe journeys when fully laden. Testing an example for myself it is obvious that Toyota has wisely retained the handling panache so evident with the RAV4 design while engineering in a more composed, more insulated ride through the fully independent suspension system. The body lines of this 5-door vehicle are smoother and there is now no spare wheel bolted to the side-hinged rear door, in fact no spare wheel at all, unless you pay extra and sacrifice some luggage space. What is clearly evident is that this new generation version is altogether a more generous vehicle, notable for space and comfort but also for overall build quality. One glance at the stylish and well-equipped fascia tells a strong story. Additionally, this top specification SR version includes leather upholstery and a power adjustable driver’s seat. The driving position is excellent with good pedal spacing, adjustable steering column and a generous sized yet very supportive seat. Indeed, all five seats are of good size and head and leg space in the rear is close to limousine dimensions. Luggage capacity with all five seats in operation is comparable to a medium sized estate car at 586 litres and up to 1,469 litres with all rear seats folded or somewhere in between if the central ski hatch or part of the rear seating is flat folded. Useful innovations are the reversible luggage floor mat and the under floor storage where a puncture repair kit is located. There are also netted pockets in rear door panel and the availability of a full height dog guard which could also be employed to prevent light items of luggage moving forwards under hard braking conditions. The RAV4 range starts with a two-wheel drive version using a 6-speed manual transmission, a 2.0-litre all wheel drive version and, clearly the more popular 2.2-litre turbo diesel models employing (as tested) a 6-speed automatic transmission. Basically there are two specifications, both highly equipped to meet the demands of the 21st century motorists. 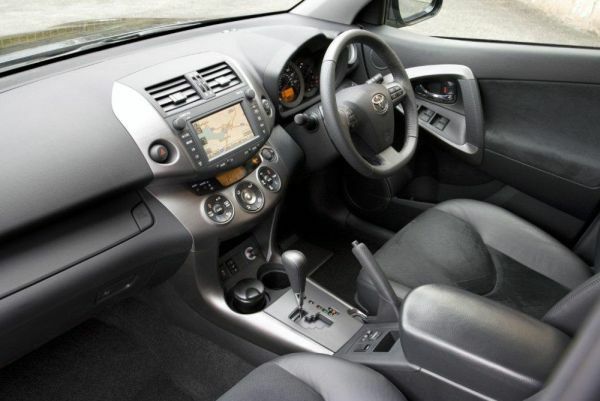 Toyota is justifiably faring reasonably well under an economic climate that hardly favours the motor industry and checking out this RAV4 indicated the efforts that the company has made to justify this success. For example, the power and transmission units have benefitted from the company’s Optimal Drive programme aimed at greater overall economy, performance and lowered emissions but also introducing far greater levels of mechanical refinement. I found the RAV4 to be amazingly quiet, even from cold start up and clearly very flexible, the 150 bhp engine delivering a claimed top speed of 115 mph and with 60 mph from rest achieved in about 10.5 seconds. The combined fuel consumption is a quoted 39.2 mpg and based on my experience with the test car and my colleague’s similar car I would suggest that about 35 mpg is attainable under mixed conditions. The 6-speed selectable automatic transmission is a real gem – play with it or leave it to its own responses. The ability to eat up motorway miles in a noiseless and unruffled manner (cruise control and Stability control are standard) is a strong testament to the car’s far better than average aerodynamics for this class of vehicle plus the ability to automatically transfer the power effort to the right wheels at the right time. The ride is smooth and easily copes well with bad road surfaces. Braking performance inspires confidence even when fully laden and distances are short, the big discs with anti-lock don’t require a lot of effort and there is also some engine braking through the all wheel drive system on lift off which adds to the balanced braking effect. Dislikes are few. I would certainly want a spare wheel and the turning circle feels a bit large though driver vision is aided by audible paring sensors and a rear view camera. Likes are so numerous. Here’s a few – the automatic folding of the large door mirrors when remote plip locking the car, the cooled glove compartment (not just for drinks but for any necessary medications), the easy satellite navigation system, the effective (dusk sensing) headlights and the dual zone air conditioning and heating. There’s so much more to discover. Safety? There are at least an air bag for everyone in the car plus one for the driver’s knees and the front head rests have anti whip-lash technology. 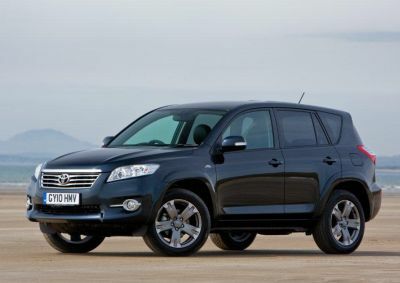 Toyota claim that the RAV 4 is the world’s most successful compact SUV. I am not surprised. That it comes with a 5-year/100,000 mile warranty is testimony to the proven reliability record. Rivals include: Kia Sportage, Honda CRV, SsangYong Korado, Peugeot 3008, Audi Q3.